Think faster. Learn better. Be sharper. Play Joggle® on your iPhone or iPad. Joggle is a workout app for your mind. Joggle makes it easy to understand your overall performance by tracking your speed, memory, and focus. Your status adapts over time, and helps you discover your learning power. Do more than brain fitness. Transform more than your brain. Discover new skills and abilities, and strengthen ones you already have. 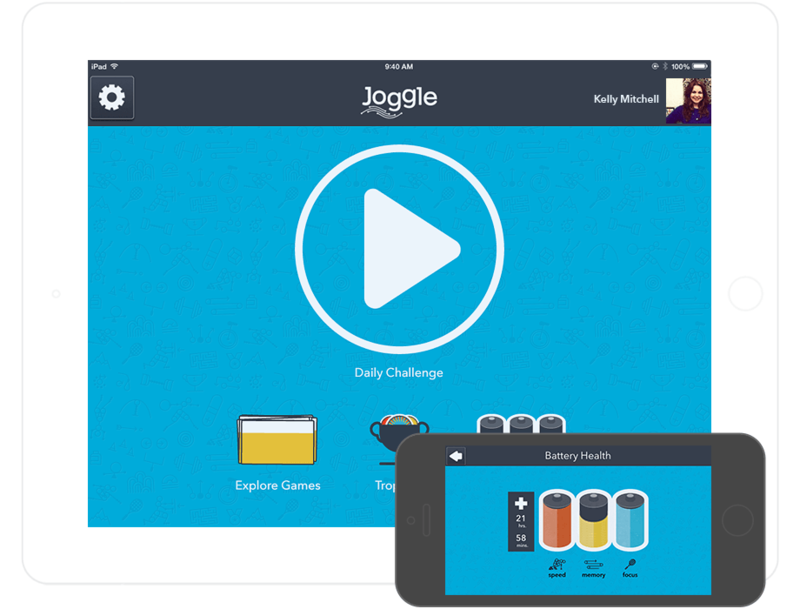 Many video games provide cognitive benefits, but Joggle is specifically designed to get your whole mind in shape so you can be your best. Empower your mind. Use it at full capacity. Know your potential. Reach your maximum.